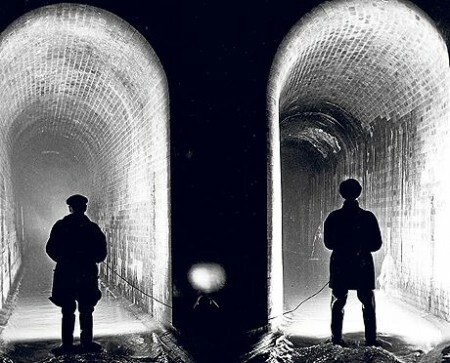 Yorkshire Water is putting fat-eating bacillus bacteria – commonly found in the human gut – in its sewer network in an attempt to prevent blockages, which typically increase by 25% over the festive season. The company began pouring vats of water mixed with the bacteria down sewers at known trouble spots last week and is rolling out the treatment at 180 sites in Yorkshire. Sewer blockages cost the water industry tens of millions of pounds a year, with many due to hot fat, oil and grease being poured down the drains and then solidifying. The fat also binds with non-biodegradable rubbish flushed down toilets, causing blockages which can make sewage flood back up into homes. The fatty build-ups are usually cleared out manually with high-pressure water jets. Expect a film about fat-eating bugs getting out of control from Larry Cohen sometime soon.